Are you student? Do you need help to get an idea for your own paper? We are the same, so we have developed this site to help students to simply get sample papers in many different study areas. By donating one your essay to our database, you will get full free access to all our essays. The goal of Open Academic Research Library (a.k.a. essays.org) is to provide help to students as well as academia and to gather the biggest collection of study material, making it available for future. We know the WINNER of the Nintendo Wii! The winner is Ali A. with 4275 win points. 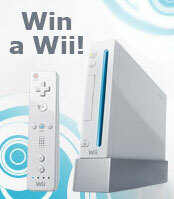 Due to overloading of essays at the end of year, we are going to announce the winner of 2012 Nintendo Wii competition at 30.01.2013. Thank you for understanding.